Abdominal exploration. Mount Sinai website. Available at: http://www.mountsinai.org/health-library/surgery/abdominal-exploration. Updated . Accessed April 3, 2018. Laparotomy, exploratory. Encyclopedia of Surgery website. Available at: http://www.surgeryencyclopedia.com/La-Pa/Laparotomy-Exploratory.html. Accessed April 3, 2018. 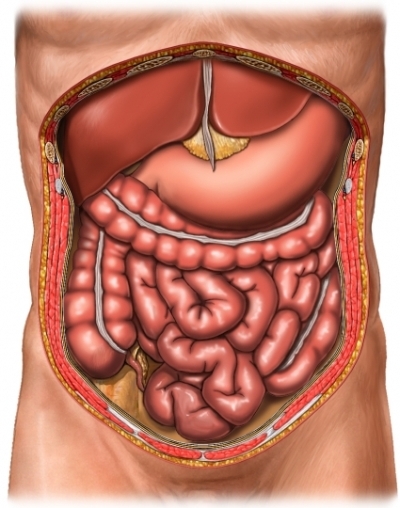 3/23/2015 DynaMed Plus Systematic Literature Surveillance http://www.dynamed.com/topics/dmp~AN~T900261/Colorectal-surgery-considerations : Short V, Herbert G, Perry R, et al. Chewing gum for postoperative recovery of gastrointestinal function. Cochrane Database Syst Rev. 2015;2:CD006506.